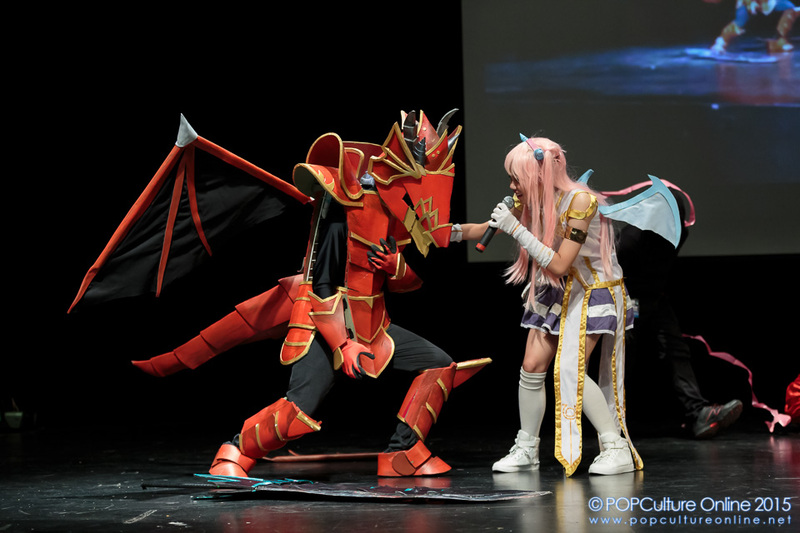 Suspend belief for a day (or two) as *SCAPE was transformed into a two-day pop-culture playground with International Cosplay Day Singapore (ICDS 2015) returns for its 4th edition. 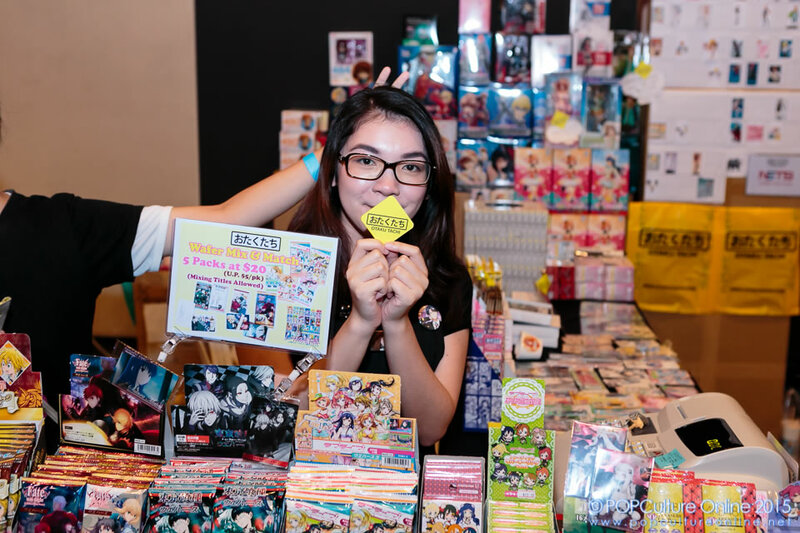 Covering 3 levels of the youth recreation and retail hub, organisers Neo Tokyo Project continued to build upon their experiences from last year to bring to visitors activities that aimed to entertain the pop culture fan in them. 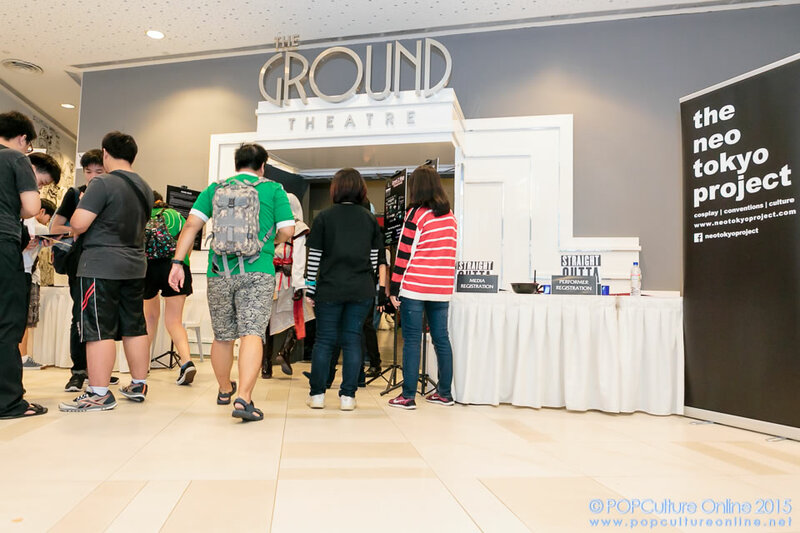 Enter The Ground Theatre on level 2 and immediately one would notice the interesting variety of booths and stalls present. From Japanese snacks to plastic model kits and even cosmetics and accessories, that big bare space that concert goers to The Ground Theatre are familiar with is now one big popular culture carival. Add in the Summoner’s Magic The Gathering booth,familiar booths from the Singapore Toys Games & Comic Convention and Gamestart, both returning this year as well and you have a nice place to start your ICDS 2015 adventure off. Plastic model and Gunpla fans (especially after the successful run of Gundam Build Fighters Try) also had a good time talking to PlaMo (plastic model) expert Ifan Cusianto and checking out the various kits and accessories on sale thanks to HobbyMate. 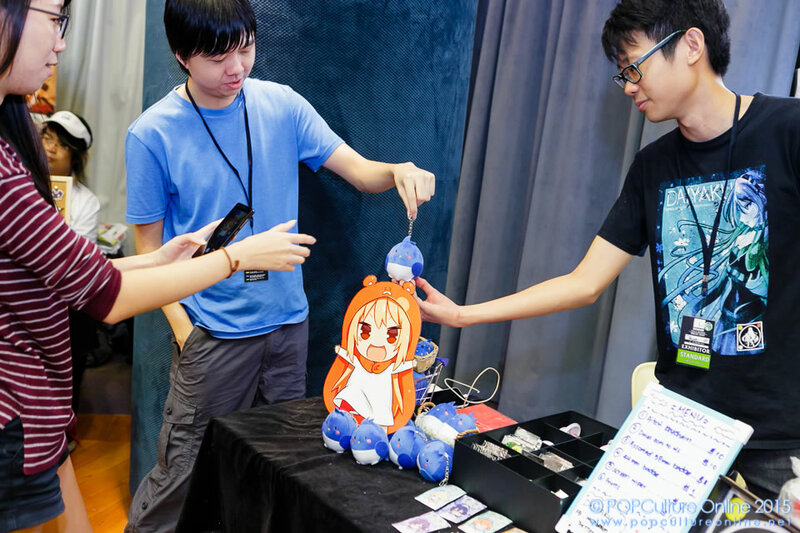 Doujin fans were also in for a treat as the entire *SCAPE, The Treetop at level five was transformed into a delightful Doujin Market. From badges to posters and a very familiar blue bird, visitors were spoilt for choice when it came to their favorite series. It was also a nice way to showcase our local talent and artiste and hopefully we will see more of such things to promote them. On to the stage action where visitors never had a dull moment as lightsabers clashed, songs were sung and stunning cosplays perofrmances were lined up for both days. The Cosplay Talent saw the League of Legends team take home the biggest prize while FightSaber did 2 panels on basic and advance fight cherography to the delight of star wars fans and this writer who nearly added a lightsaber from KitSaber to his collection of katanas (we hear he is trying to make space at home for it). AniDance 7 music Party also saw a time of great anime music as everyone danced the night away. 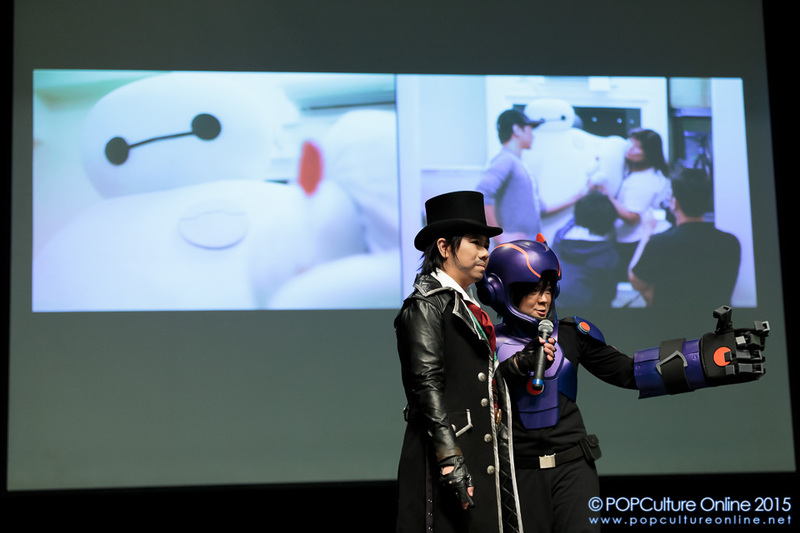 Cosplay fans were also in for a treat as internationally acclaimed cosplayer Jin (BehindInfinity) graced ICDS 2015 with 2 of her cosplays, Big Hero 6’s Hiro Hamada and Howl from Howl’s Moving Castle. 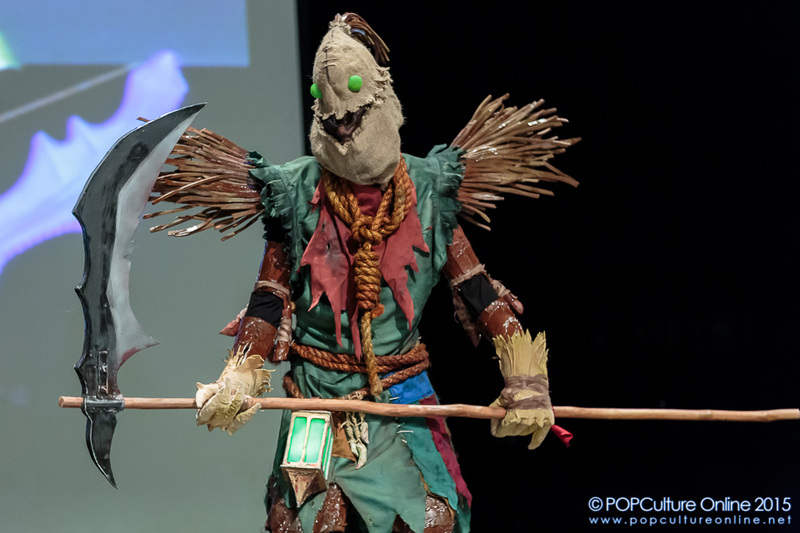 Jin also shared her cosplay experience through 2 panels on stage with invaulable examples of how she picks the locations and also tips on getting that cinematic feel for cosplay photos. Her fans also had a chance to meet, greet and take selfies with Jin and I am sure looking at the many photos of Jin on social media that her fans definitely couldn’t get enough of her. Rounding off ICDS 2015 this year is the Annual Cosplay Chess which sees the White team of Fate take on the Back team of Freedom. Improving on the previous year’s success, if there is one thing to take home from this year’s battle of epic proportions, its never to underestimate the power of a little dragon Dwwaagon. Entertaining everyone in The Ground Theatre, it was so epic this year that the team decided to dedicate another article for it (and the tons of photos the two photogs brought home). Overall ICDS 2015 was a weekend well spent after a long work week and the team is sure many also enjoyed that $8 off from their GrabTaxi ride home. Do also check out our photos from ICDS 2015 over at our Facebook page.